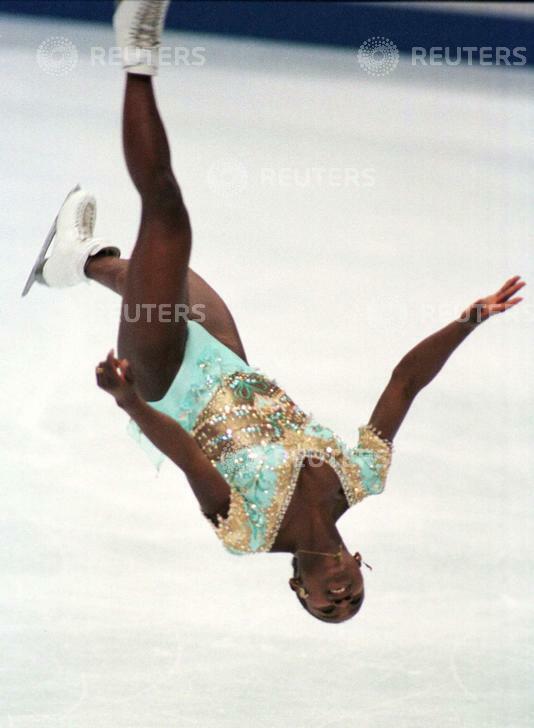 Surya Bonaly of France performs a back flip jump during her free skating programme in the Olympic women's singles figure skating at the White Ring ice arena February 20. Bonaly dropped from sixth to 10th after free skating. Tara Lipinski of the United States won the gold and became youngest Olympic women's figure skating champion in history. U.S. Michelle Kwan captured the silver and Lu Chen of China, the bronze.